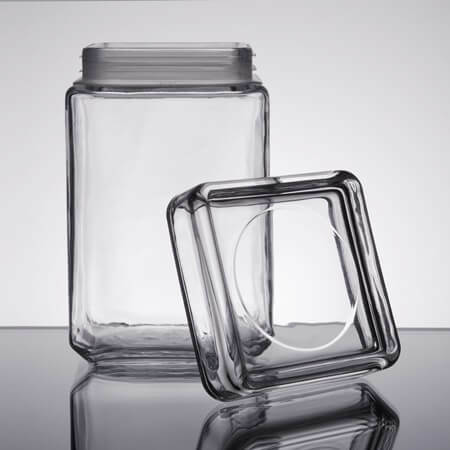 This 1.5 Quart Stackable Square Canister with Glass Lid is a highly versatile container. 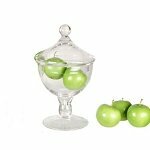 What a fun container for teachers to place on their desk so that children can give candy prizes and treats which will stay fresh the whole school year. 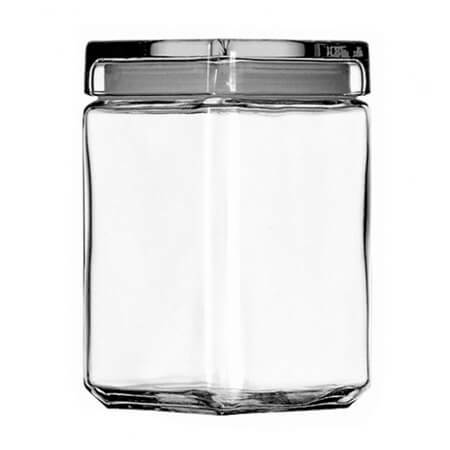 While not the traditional cookie jar design this square jar is a wonderful choice for those freshly baked edible goodies. With the stackable construction, you can make a wall of different candies and cookies in your shop, or bakery. 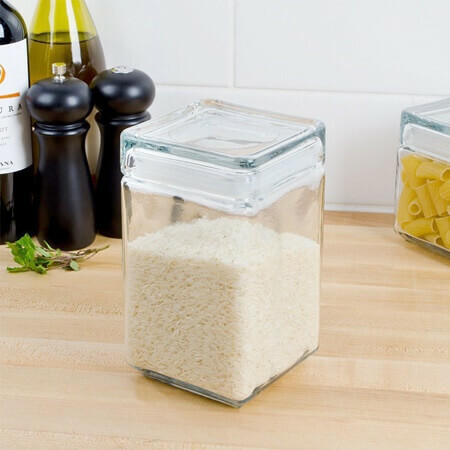 Exhibit inventory you have to offer as well as organize your ingredients behind the counter for the wonderful organization and the arrangement of jars. 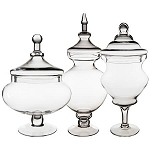 Big events like weddings, anniversaries and so many other dates can get unique with this glass decorative jar and use for centerpieces, candy buffets and have a fun edge with the square jars.